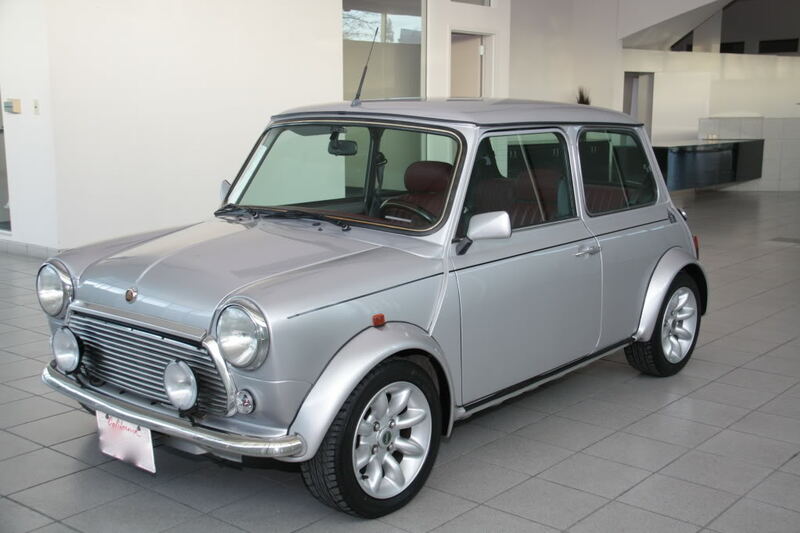 This car is listed as a 1972 Mini Cooper that has been updated to 1999 specs. Uh, OK. More than likely it's a 1999 that has been titled as a 1972. 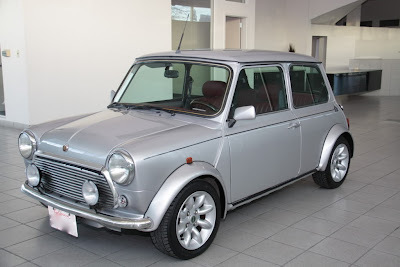 Not that it matters, this is one phenomenal Mini. This is a 40th Anniversary Edition. It has every bell and whistle you could get on a Mini, plus a few special extras. The body looks aggressive with the fender flares and Minilite wheels. Check out how BMC designed the flares so the stock bumpers blend into them. 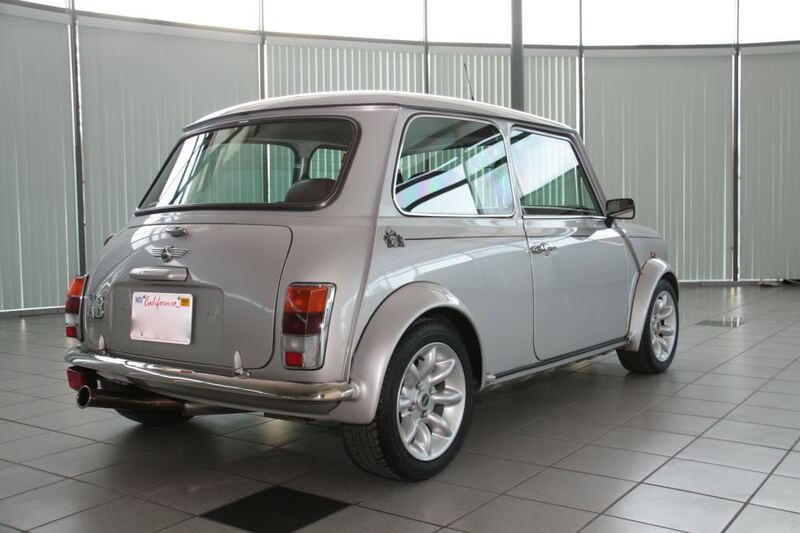 The body-colored sideview mirrors, the large tailpipe, all of that makes this Mini look aggressive without looking too "boy racerish". The interior is incredible for a Mini. No center instrument cluster in this one. It's turned aluminum with a full set of white faced gauges in front of the driver. 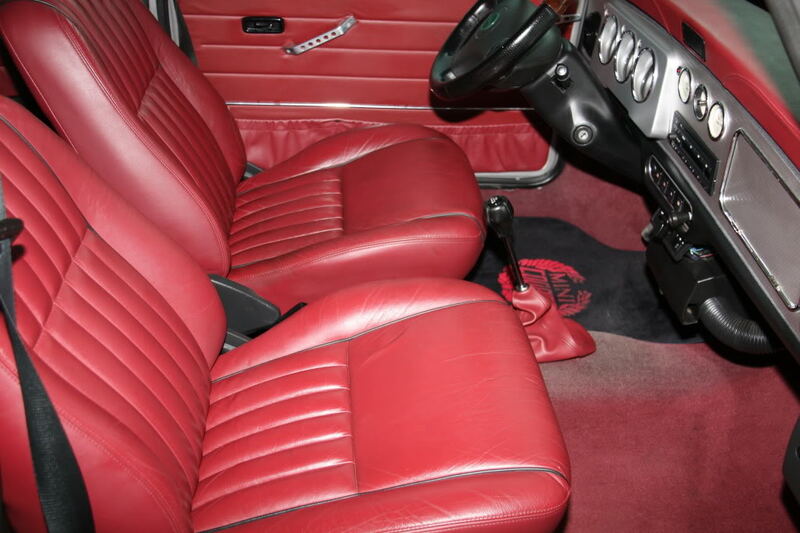 Air-conditioning, leather seats, a thick, wood and leather steering wheel (with an airbag) and a CD player, make this a a very modern, even luxurious, interior. The engine is the venerable 1275cc BMC A Series engine. In this car it's fuel injected. This is one of those "dilemma" cars. What would you do with it if you bought it? Only 100 of these were built. It has 38,000 miles on it. It looks pristine. It's an incredibly nice example of one of the last original Minis. It should be preserved. On the other hand, it's fuel injected and has most of the amenities you find on a modern car. It could easily be a daily driver. Of course that would mean it would accumulate more miles and probably get a few parking lot dings and scratches. Me? I'd do the latter. Located in San Mateo, CA, click here to see the eBay listing.